Case Study, March 31, 2016, Sydney, Australia: The Australian National Blood Bank (NBA) has endorsed Spacecode’s RFID system at Liverpool Hospital in Sydney, NSW. A statutory agency within the Australian government’s Health portfolio, the NBA manages and coordinates arrangements for the supply of blood and blood products and services on behalf of the government at national and state levels. 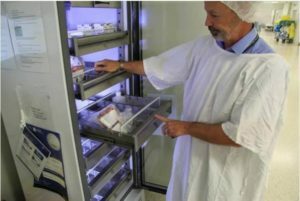 With its vision of “Saving and improving Australian lives through a world-class blood supply”, the NBA conducted a case study at Liverpool Hospital to determine how RFID tracking of blood and blood products improved confidence in cold chain compliance. Prior to December 2013, Liverpool Hospital used a paper based sign‐out register for logging blood products in and out of their operating theater fridge. This register was often not completed or inaccurate. As a result, staff could not be confident that unused red blood cells had been returned to the fridge within a 30-minute window, thereby ensuring it was safe to reissue. There was also the additional risk that blood removed from the operating theatre fridge for transfusion could go to the wrong patient. These risks were seen as unacceptable and a solution was sought. In an effort to reduce these risks, the hospital transfusion service began exploring the idea of using Radio Frequency Identification (RFID) tags to track the intra‐hospital movement of their blood and blood products with the aim of improving patient safety. Liverpool Hospital is located approximately a 50‐minute drive from the Sydney CBD. 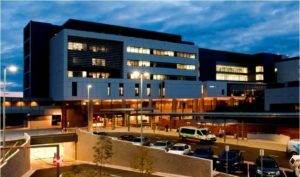 With 23 operating theatres and an 877 bed capacity, the hospital is the major health service for south‐western Sydney; providing services including diagnostic and imaging services, emergency and trauma care, haematology, cardiothoracic, maternity, paediatric, cancer care, mental health, ambulatory care, allied health and medical and surgical services from birth to aged care. The transfusion service is a part of the Sydney South West Pathology Group and provides over 12000 units of red cells for transfusion in the hospital each year. Why the change to RFID tagging? Prior to the implementation of RFID tagging, blood and blood products were tracked using a paper based sign‐out register completed by nursing and medical staff when removing and returning blood from the operating theatre fridge. However, this process was often not completed correctly, or at all, as during September 2011 60% of blood removed from the operating theatre blood fridge was not signed out. This raised concerns about the safety of reusing products that had been returned to the fridge. Use of a paper register also carries the risk that a blood bag could be dispensed to the wrong patient. RFID tracking can reduce these risks by providing more accurate and real time information to hospital and transfusion service staff. RFID stands for Radio Frequency Identification. It is a wireless, non‐contact form of communication which uses electromagnetic radio waves to transfer data between a tag and a reader. RFID tags consist of a small circuit board coupled to an antenna. Passive RFID tags are powered by temporary electromagnetic fields which facilitate the transmission of radio frequency data from tag to reader. Tags can be read even if covered by an object or not visible and hundreds of tags can be read at a time. 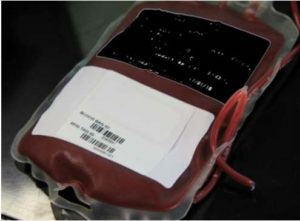 RFID tagged blood products can transmit pack details and patient identification information to a computer or hand held device. How did Liverpool Hospital implement RFID tagging? After considering several other potential solutions, Liverpool hospital decided to pursue the implementation of low frequency RFID tagging of blood. 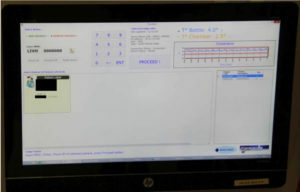 In November 2011 a business case was prepared for an RFID smart blood fridge to be located in the operating theatre. Although there were multiple vendors in Australia offering differing RFID solutions, none had a system in use, meaning that Liverpool Hospital would be the first Australian hospital to implement such a system. The hospital budget, as always, was under pressure and so a cost sharing agreement was negotiated whereby the hospital paid a one off cost for the fridge and the pathology department pays for the ongoing costs of the RFID tags. The business case was approved in July 2012 on the conditions that the fridge was compliant with Australian standards (AS3864), the software was user friendly, and the vendor would refund the cost of both the fridge and software if the system did not work. The vendor’s software was based on an existing commercial inventory management program and had to be modified for the purpose of tracking blood. The fridge chosen for the project was imported from France and retrofitted with the software to ensure AS3864 compliance. The fridge was delivered to the hospital in June 2013 and ready for use by December 2013. How does the RFID Smart Fridge work? Blood is dispensed from the laboratory based on a written request form. The RFID tag is added to the unit at the time of dispensing, which associates it with the matched patient and then scanned out using the specialised software for transport to the operating theatre. Theatre staff place the blood in the fridge after scanning their personal identification to unlock the fridge. When the door is closed, a scan is initiated which looks for any added products. 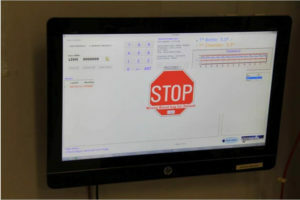 The scan will automatically add the product to the fridge’s inventory displayed on the screen at the fridge and hold it for the appropriate patient. When blood is required for transfusion, a theatre staff member brings the appropriate request form identifying the patient by their distinctive medical record number to the operating theatre smart fridge. Once the patient’s name and date of birth details have been confirmed by checking details on the screen against the request slip, the staff identification card is scanned to open the door and remove the blood. When the door is closed a scan is initiated which automatically identifies that the product has been removed from the fridge. If the incorrect product has been chosen a message appears on screen accompanied by an audible alarm alerting the staff member to the discrepancy. What were the challenges involved in implementing the RFID fridge and how were they overcome? With the implementation of any new system, especially being pioneers in Australia, there were a few hurdles that Tony Greenfield, the principal scientist, and his team had to overcome. In Operating Theatre sometimes the situation is life threatening and clinical staff can be impatient. Electronic systems may experience performance delays or can fail, requiring a way to bypass the problem (a key to open the locked door is available). The software has experienced some bugs and connectivity issues, which led to some of the tags not being detected correctly. The use of a wired network instead of wireless is being investigated to see if it would assist with these issues, though the vendor has released a new generation of software for future sites. While there has been some feedback that RFID tagging has made the process of retrieving blood more complex for theatre staff, a considerable amount of effort has been put in to training staff to use the system properly, including ensuring that bags are oriented properly in the fridge to ensure the tags are consistently detected. Are there any other applications? Albumex and Prothrombinex are other blood products that are routinely stored in the theatre fridge. By applying an RFID tag to these products, they can also be tracked to patient, staff member, date and time of use. Anything that a tag can be attached to can be associated with a patient using the software, allowing well documented storage of small supplies of various products outside of the laboratory. How have the changes impacted daily life at Liverpool Hospital? Since the implementation of the RFID system, medical and transfusion staff have much more confidence in the cold chain compliance of red blood cells being used in the hospital. Knowing that blood has not had any unauthorised excursions means that blood can be safely used or returned to stock for use on another occasion.